Doing a small junk cleanup? If you have limited space and a limited budget for a container, the 6 cubic yard container will be just right for your needs. This container will hold the equivalent of a 2 level-full pickup truck loads of waste. A favorite of homeowners, the 10 cubic yard container is often requested for spring/fall clean-ups, garage/basement cleanups, roofing tear-off, estate/junk removal. This container will hold the equivalent of 3 level-full pickup trucks of debris. Popular with both homeowners and builders, the 20 cubic yard container can be used for a variety of tasks ranging from estate/junk removals to new home construction. This container will also hold up to 50 squares of single-layer roofing shingle tear-off. Perfect for those really big projects, the 30 cubic yard container stands 6 feet tall with a rear door that opens to provide easy access for loading junk, building debris, demolition materials, etc. If you've got an enormous mess to dispose of, you'll save time and money by using this container. Landrum Disposal rents small and large dumpsters in Moline, Bettendorf, Davenport, Rock Island, and surrounding areas. We’ve been in the waste management business in the Quad City area since 2001 so we know a little about the Quad Cities. Some of the area’s landmarks include Interstate 74 Bridge, Putnam Museum, Rock Island Arsenal, Tax Slayer Center, and The Adler Theater. Many waste collection companies that are found on the internet couldn’t name a single area landmark as they’re out-of-town waste brokers- They don’t have any trucks, don’t have any containers, and sure aren’t located in the area. When you’re looking for a small dumpster rental in Davenport, Iowa, home of several local attractions including the Bix Race, Palmer College of Chiropractic, Northpark Mall, and Modern Woodman Park, one phone call to (563) 332-2555 is all you need to do. We’re a local waste management firm that puts our customers first. Davenport, Ia has a variety of waste collection services ranging from rear load and front load commercial services provided on a scheduled basis for business to side loading curbside weekly residential waste and recycling collection. Junk removal services in Davenport are provided by Landrum Disposal as well as some 1800 junk removal companies. 20 cubic yard roll off dumpsters are a favorite in Bettendorf, Iowa for homeowners and home builders requiring professional waste management. Bettendorf is a wonderful place, home of the Bettendorf Bulldogs, Isle Casino Hotel, The Bettplex sports complex, and the Family Museum. And when it comes to garbage dumpsters, there are a plethora of waste collection companies that provide service. Landrum Disposal is located in Bettendorf and has served the community since 2001. The City of Bettendorf collects residential waste from its residents curbside on a weekly schedule. The municipality also collects recyclables from homes located within the City. Commercial waste collection in Bettendorf is done by private garbage collection companies. These private haulers often use hydraulically operated refuse collection vehicles to empty 2, 4, 6, 0r 8 cubic yard dumpsters at customs locations. Junk collection and roll off dumpster rental in Bettendorf, Iowa is provided by our company and a handful of others. Landfills for the area are located in Buffalo, Milan, and East Moline with the Buffalo site being operated by the Scott County Waste Commission. The two Illinois sanitary landfills are operated by private companies and accept garbage generated on both sides of the river. You might want to check Yelp for online reputation or reviews of your waste hauling company. If you are looking to rent a dumpster in Moline, Illinois, look no further. Moline, Illinois is known for the John Deere Pavilion, Tax Slayer Center, the Quad Cities International Airport, Quad Cities Chamber of Commerce, Quad Cities Marathon and Celebration Bell River Cruises. The City of Moline collects residential waste from its residents on a weekly basis, but commercial waste collection is provided by private waste haulers. The Illinois side of the Quad Cities enjoys a competitive field of private waste haulers as well as dozens of municipalities which collect residential waste on a weekly schedule. Some of the nation’s largest waste management companies use mechanized trucks and containers to collect commercial waste from Moline, Illinois business and industry. Rock Island, Illinois has its residential waste collected by the City of Rock Island, but Landrum Disposal rents large dumpsters in Rock Island, Il. Commercial waste collection is largely provided by Landrum Disposal and a handful of others. Rock Island is known for the Rock Island Arsenal, Black Hawk State Park, The District, and other notable locations. Recycling And Waste Collection In Davenport is done by the City of Davenport for residential waste and the private sector for commercial cardboard and metal materials. If you’re looking to rent a dumpster in Quad Cities Il or Quad Cities Ia, it’s a very simple process when you contact a locally owned, customer driven, professional waste management firm. At Landrum Disposal, we’ve gained experience at collecting waste from our Davenport Iowa, Bettendorf Iowa, Moline Illinois and Rock Island Illinois customers since 2001. We’ve delivered thousands of roll off containers for construction waste dumpster rental, residential waste, commercial waste collection, waste recycling, and junk removal. We deliver both small and large size waste bins to fit our customer’s individual needs. We’re not a large company and being the biggest has never been one of our goals. Our theory is that it’s not about how many things a company does, it’s about how many things a company does right. We don’t bite off more than we can chew, we don’t over promise and under deliver, we get up early every morning and are 100% committed to doing what we say we’re going to do. Our customers appreciate our prompt reliable waste service and we’re always looking to develop long-lasting relationships with folks who appreciate quality dumpster rental service in Bettendorf, Iowa. Some of our customers ask about the green bags they see advertised on television. Unfortunately, these bags aren’t available in the Quad City area. The good news is that our services are actually cheaper per cubic yard, and overall more economical than the bags. Our waste collection bins contain up to ten times the amount of debris that a typical waste bag will hold. So go ahead and run the numbers yourself, and we’re certain you’ll find our garbage collection service far more cost effective. You’ll need to do a rough calculation, or at least have a rough idea, of the amount of waste you’ll need to get rid of. Our container sizes are 6 cubic yards, 10 cubic yards, 20 cubic yards, and 30 cubic yards. The dimensions of these containers are shown on the web site along with photos of each size bin. You might want to use a container large enough to minimize the number of hauls you’ll be paying for. Although you need to also consider things like the space you have available for a bin at your location. Additionally, you have to consider the density or weight of your waste material to avoid overloading a larger bin with material such as dirt, asphalt, concrete, etc. We’re always happy to learn about your projects and assist you in determining the correct equipment for your specific needs. When it comes to rubbish removal, using a local trash collection company is actually better and we like to be exalted by our customers on the local Yelp Directory. The larger waste services firms have thousands of customers nationwide and often neglect the requests of smaller customer. They are more prone to charge unexpected environmental fees and sometimes leave their customer waiting on hold as their call center employees assist waste generators from other markets. We tend to focus on the things that Landrum Disposal, based in Bettendorf Iowa, does right and not dwell on what the competition does wrong. But some of the additional charges, being put on hold, and waiting longer for your garbage nan to serve you are just some of the things that you, as a customer, should know about up front. Junk removal service in the Quad Cities area is often times provided by 1 800 junk removal companies. There are benefits in using the full service junk removal firms when it comes to having your waste loaded, transported away, and disposed of. But there also drawbacks to the 1800 companies service. Some of the drawbacks include the cost, the timing, the awkwardness of having the price quoted to you after the junk collection crew is already on your location. But if you’re interested in a full service junk removal service, the good news is that Landrum Disposal will provide that service in the Quad City area too. Call us today at (563) 332-2555 for an over-the phone indicative price for your junk removal needs. And if you’ve got a large quantity of waste maybe dumpster rental in Moline Illinois is right for you. We provide containers for the purpose of clean concrete recycling for both commercial contractors and local residents. If you are removing clean concrete sidewalks, driveways, parking lots, etc, you might just be interested in concrete recycling. Separating your material from other debris could save you a substantial amount of cash on the disposal portion of your charges. Smaller bins are used for thus service as concrete is quite dense and can overload our trucks and make transportation on local roads unsafe. The Quad Cities area has three sanitary landfills that accept non-hazardous solid waste from municipalities and private companies and citizens. Two of these landfills are privately operated, located in Illinois, and fall under the jurisdiction of the Illinois Environmental Protection Department. A third landfill is located on the Iowa side of the Quad Cites, operated by the public sector, and falls under the jurisdiction of the Iowa Department of Natural resources. The area has several recycling centers which are are both publicly and privately operated. These recycling centers segregate plastics, paper, glass, cardboard, concrete, metal, wood, etc. The Quad Cities is blessed with an abundance of competition with regard to dumpster rental companies. You need to choose your waste contractor carefully to avoid overpaying or suffering through poor service. many of the environmental services companies you see when searching the internet are not local firms-They’re out-of-town waste brokers who may not own or operate a single garbage truck or employ any drivers. These waste brokers take orders nation-wide and then shop for a local company to fulfill their promises. Problem is that the customers specific needs are often lost in the process, resulting in poor service and a bad experience for the customer. Always do your homework prior to selection a waste removal company- There are many good ones in this area, but like other markets, you’ll always find one or two that are certain to disappoint you. Search the internet, talk to some friends/neighbors, look around for bins in your area for company logos, make a few phone calls, and you’ll probably select a competent contractor. Waste management services in the Moline Illinois, Davenport Iowa area are provided by both public and private sectors. Most of the residential curb side refuse collection and recycling in the larger cities are provided directly by the municipalities. Davenport, Bettendorf, Rock Island, and Rock Island all collect the residential garbage on a weekly basis for their residents. Some of the smaller cities like Coal Valley Illinois, Eldridge Iowa, Silvis Illinois, LeClaire Iowa have private waste companies providing waste collection in their respective cities. Commercial waste collection in Moline and Davenport Iowa have historically and are currently provided by local and nation-wide waste firms. Small and large dumpsters are rented by private companies in Rock Island Illinois and Bettendorf, Iowa. Landrum Disposal has a plethora of options wham it comes to dumpster rental in Quad Cities, Il sizes it makes available to its Moline, Illinois customers. From 6 to 30 cubic yards, we’re able to find you the right size rental bin regardless of weather your needing a small or large dumpster. So why call a 1 800 number if you got junk in Davenport Iowa, when you can take your time filling one of our bins? There’s no rush to get a roll off if you contact us a day or so in advance, you can have it whey you’re ready to fill it. We are also flexible with regard to the times and locations that we deliver your equipment to. So call us today at (563) 332-2555 to discuss your individual needs. Gather the information that you will need when requesting prices for construction dumpsters, roll off containers, recycling bins, etc. Consolidate and write down the questions you intend to ask the dumpster rental companies in the Quad Cities area. Think about a good dumpster rental site at your project location. What will you be disposing of in the container? The garbage collection company will certainly ask you this question because they want to help you with the size dumpster you order. Some heavy wastes can not be placed in larger containers as they will overload the collection trucks. For example, dirt, concrete, etc will overload a 30 cubic yard roll off, so a 10 yard dumpster might be a more appropriate size for these dense waste materials. Some materials can’t be placed in any size container for landfill disposal- Drums, hazardous waste, flammables, liquids can’t be disposed of at landfills. Some of the lighter materials such as household waste, junk, wood waste, etc can be efficiently and cost effectively in large 30 yard roll offs. So the question of “what will you be tossing in the dumpster” is always one that is asked. Writing down your questions before contacting a Quad Cities waste management company ensures you will ask, and not forget, them. Questions regarding licensing requirements for dumpster rental in Davenport, Iowa or Moline, Illinois are good ones to ask your waste removal company. Not all waste collection companies have the right permits and licenses to rent dumpsters in Rock Island, Illinois or Bettendorf, Iowa. You’ll also want to inquire about dumpster prices and sizes in the Quad Cities. Not all companies charge the same prices or the same ways. For example, some Quad Cities companies might charge equipment rental after 2 weeks, others after only a few days. And excess tonnage fees also vary from waste company to waste company. So you’ll want to explore all of the pricing policies of the various companies in Davenport, Iowa and Moline, Illinois. Lastly, you need to give some thought to what you need to do when the roll off dumpster arrives at your Quad Cities location. Where will you have the equipment placed? These large metal containers take up a lot of space as they are 20 feet in length, 8 feet in width, and are delivered by a 35 foot long truck which requires another 15 feet to maneuver. The spot needs to be hard, level, and free from overhead obstructions such as wires, tree branches, garage overhangs, etc. Homebuilders using 20 yard dumpsters in Bettendorf, Iowa. Roofers using 10 and 20 yard sizes for asphalt roofing shingle tear-offs. Junk removal in Moline, Il. Commercial construction throughout Davenport and the Iowa Quad Cities. Fire and water damage restoration in Rock Island, Il. Commercial waste generators in davenport, Ia. You’re talking to a real person when you dial (563) 332-2555 and you’ll receive expert advice about how our waste management services can help you with your project. Landrum Disposal, the Quad Cities leading dumpster rental company, has a plethora of roll off container sizes. You can order virtually any number of bins and we’ll schedule services based on your work or project schedule. We can’t always schedule service at an exact time of day, but we can schedule on a particular day and we’ll do our best to meet your schedule. When you do business with Landrum Disposal, you do business with the owners. Yes, we have skin in the game-Our business is our life, our identity, our bread and butter. We answer phones 7 days each week, we deliver dumpsters on weekends, we do whatever it takes to make a buck in today’s struggling economy. We are a local Bettendorf, Iowa dumpster rental company- Not an out of town waste broker or nation-wide waste company. So we know where the I Wireless Center, Walmart in Silvis, Purina, 23rd Avenue Moline, LeClaire Park, etc are located. You won’t need to explain what is going on in the Quad Cities or where you’re looted when you order a roll off from us. We live here, listen to WOC 1420, watch channel 6 news, get stuck on the I74 bridge, just like you. And another thing, we spend our hard earned money here locally, unlike other giant companies that send your money to Houston or Phoenix. Your waste removal fees get circulated in the communities in witch you live- Providing jobs, improving local schools, offsetting taxes and other costs for you and your neighbors. So the average American generates 4.3 pounds of the above waste materials each and every day. In fact, Americans produce in excess of 200 million tons of trash everyday and that’s enough to waste to fill the average stadium a whole bunch of times. I actually don’t know how much 200 million tons would be, so let’s just say Americans generate a bunch of waste and it all needs to be hauled away and buried somewhere. So why not let Landrum Disposal take good care of your rubbish? Dumpster rental in Bettendorf, Iowa isn’t difficult, but it helps to have a few tips and ideas before you order your roll off container from a local garbage collection company. First, you’ll need to estimate the amount of junk you’ll be disposing of. This isn’t always easy, but you need to take a stab at it before you call your local Bettendorf or Quad Cities dumpster rental company as they will need to know the size dumpster you want to order for your project. Most waste management companies in the Quad Cities have experience assisting customers choose the right size roll off dumpster, but you’ll need to assist them by telling them in detail what you plan to do. And even then, their estimates might not even be close to accurate. You might be better off estimation your waste volume yourself. And if you choose to go this route, you can measure your waste pile or expected waste volume and convert it into cubic yards to order the most appropriate dumpster for your Bettendorf, Iowa project. A cubic yard is equal to a 3’x3’x3’ pile of debris, or 20 cubic feet. Thats about the volume of a medium size kitchen stove. Put another way, a pickup truck with a level full 8’ bed holds about two and a half cubic yards of material. Another helpful tip relates to daily rental fees charged for your rented dumpster in Davenport, Iowa. Daily rental varies from one dumpster rental company in the Quad Cities to the next. 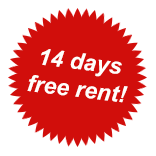 Some charge daily rental from day others give as many as 2 weeks rent free before they start charging extra for dumpster rental in Moline, Il. Yet some, cap the days a customer can hold onto a bin and pick it up automatically due to inventory issues. At any rate, you’ll normally need to call the dumpster company in the Quad Cities area to have the equipment hauled away, otherwise you’ll be paying additional rental fees. Commercial front load dumpsters- Used primarily for scheduled weekly refuse collection at restaurants, office buildings, apartment buildings, etc. These bins are usually not for temporary or residential use. Roll off dumpsters- Dumpsters rented in the Quad Cities area on a temporary or permanent basis by residents, business, contractors. These dumpsters are used in Rock Island, Illinois and Davenport, Iowa for construction debris, commercial clean ups, junk removal service. Bag style dumpsters- These dumpsites are often purchased at big box home improvement stores or online and can be kept rent free forever. They typically range from 1 to 3 cubic yards and are removed on an “on call” basis for an additional fee. These bag dumpsters are not serviced in the Quad Cities area except by manual junk removal services. They can be handy as they are rent free and take up little space, but are costly for large volumes of waste. Trailer dumpsters- Trailer dumpsters are an alternative to regular dumpster rental in Moline, Illinois. Trailer dumpsters have wheels and are typically pulled by a pickup truck to the landfill. They decrease the risk to your driveway, but often have the disadvantages of a high loading height, smaller volumes than larger dumpsters in Davenport, Iowa, and have legal payloads that are less than a typical construction roll off dumpster in Moline, Illinois. Lugger boxes- lugger boxes are typically used for scrap metal recycling, but can be rented in some markets for waste removal. Lugger boxes are sometimes narrower than roll off dumpsters, but don’t have the volume of a 30 yard roll off. Lugger boxes also do not usually have a back door, so the materials have to be tossed over its sides which can be difficult when loading heavy or bulky items. So a few final thoughts on dumpster rental in the Quad Cities- If you’re living in davenport Iowa, Moline Illinois, Bettendorf Iowa, Rock Island Illinois, and need to rent a roll off dumpster, give us a call at (563) 332-2555. we have information relation to Quad Cities dumpster rental prices, sizes, etc.